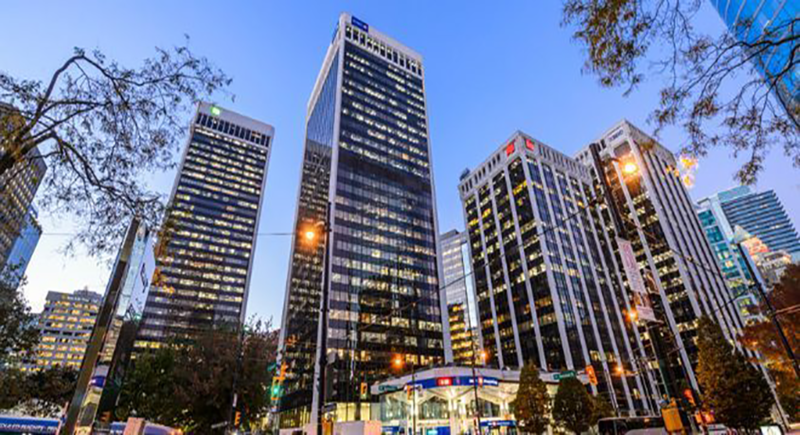 Vancouver’s iconic Bentall Centre is set to have prominent new ownership. Blackstone Property Partners will acquire an 80 per cent interest in the four-tower, 1.45-million-square foot office-retail complex, while its joint-venture partner, Hudson Pacific Properties, will hold a 20 per cent interest and assume the role of property manager. The deal is expected to close in the second quarter of 2019, after which Hudson Pacific will oversee planned renovations. The acquisition represents the first foray into the Vancouver market for both joint-venture proponents. The site can also accommodate a fifth tower, presenting a rare opportunity for further large-scale office development in the city’s financial district. To begin, the new owners plan to renovate the retail promenade and upgrade common areas in all four towers. Hudson Pacific has been focused on “premier West Coast epicentres of innovation, media and technology” and labels Vancouver and Bentall Centre’s Class A towers, tenants and amenity mix a good fit with that mandate. This will be the fifth Blackstone-Hudson Pacific joint venture in recent years, including the USD $3.5-billion purchase of Equity Office Properties’ San Francisco peninsula and Silicon Valley office portfolio in 2015. “We are excited to again work with Hudson Pacific and its top-tier team,” Meghji says.